Households account for approximately 30% of all electricity consumption. Any measures aimed at reducing energy consumption of residential dwellings will have a huge impact on electricity demand and affordability. The Aussie 6 star rating system (or NatHERS) is a national standard introduced to address energy consumption of all new dwellings including commercial buildings. This has been an important first step towards reducing energy wastage due to traditionally inefficient design and construction habits. Also, the increasing number of appliances used to run an average household. For example, air conditioners, large and multiple TV’s, overuse of lighting, multiple refrigerators, computers, and so on, all have increased our propensity to use power. Our star rating system goes a long way to addressing the energy wastage of inefficiently built homes, but it is only a start / stop-gap effort towards solving part of a larger and more complex problem. It requires a minimum amount of insulation for the home to maintain its heating energy. It rates windows and their impact according to their materials and design. It encourages building orientation and other design factors which add passive heating and cooling benefits. Passive meaning use of natural sunlight and shade /solar access, shading devices. To a lesser extent, it looks to limit drafts and create a more airtight building envelope. However, whilst these 6-star strategies are mostly desirable, they create unintended consequences. Well insulated and airtight buildings retain occupant carbon dioxide, producing stale air. Also, on days when the temperature differentials (inside temp. compared with outside temp) are high, this differential causes condensation/moisture build-up inside the external walls. This will eventually cause rotting of structural framing members and mould growth, also known as ‘sick building syndrome’. 6-star provides no answers or credits for any types of preventative ventilation, nor does it set any limits on drafts / air changes. For ventilation systems to work well the building needs to be as airtight as possible. So what’s the answer? Do we go back to drafty buildings with heat blowing out the doors and up the chimney, or do we look to overseas solutions? Due to the inherent shortcomings of 6-star, many energy conscious Aussie builders and designers (Capital Building among them) are applying the passive house standard to plug the 6-star performance gaps. Use of passive and active ventilation systems. Use of highly efficient electric appliances from heaters, heat-pump systems, Heat Recovery Ventilation (HRV) systems, etc. Smart systems controllers to make all these things operate at optimum performance. Preference for low carbon footprint building materials, ie timber prefab. Panel construction. Most homeowners are aware of opening some windows, slightly or a lot is required to prevent stale air and condensation. This is a passive ventilation alternative as are manually or automatically vented sky lights, windows and roof ventilation. These low cost ventilation solutions go some way to improving air quality but depend on the home owner to operate them effectively. The ideal but more costly answer is Heat Recovery Ventilation (HRV). 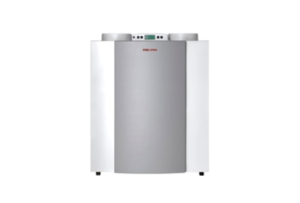 Suppliers such as Stiebel Eltron supply a range of HRV systems, which totally eliminate condensation and stale air. 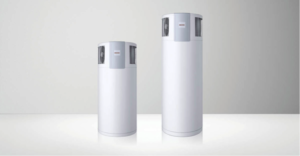 They are also very efficient at maintaining a steady temperature whilst circulating a constant flow of filtered, fresh air, throughout an otherwise airtight house. A correctly supplied and installed, quality, HRV system, including extra air sealing membranes and seals, starts at around $40K, at the time of this writing. Capital Building has recently installed such an HRV system in a Melbourne New Home build. An added advantage of HRV is it requires almost no homeowner, operational input. 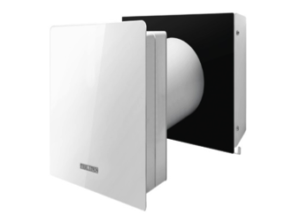 Smaller and cheaper HRV units are also available and are quite effective and more suited to retrofits. Lastly, star ratings do not really address the issue of increasing appliance use. They only identify an appliances use of electricity compared to that of another similar appliance. One answer may be to use fewer appliances or more careful use of appliances. However, why should we forego the benefits of appliances if there is an answer to making and running them efficiently? In summary, the concept of Zero Carbon homes is most important. Without diminishing the importance of the efficient house fabric, if a home produces enough green energy to cover its own electricity demand, then it matters less how much energy it uses. A 5 kW photovoltaic array of solar panels is capable of producing an average homes’ daily electricity demand. Such a system, costing around $5K, would pay off after about 2 years. After all, cheaper electricity and less consumption of expensive and damaging fossil fuels are what we are really trying to achieve. Looking into the near future, when battery storage becomes economical, businesses and households will be able to generate and store enough electricity for their own use. Already around 20% of households and businesses are generating their own electricity. This energy revolution is gaining momentum right now, despite many orthodox politicians ignorance of it. It is a ‘hip pocket debate’ more so than a climate debate. News flash today, the Victorian government is offering half-price batteries, shut the gate the horse has bolted! Capital Building is a Passive House member and Green Living Master Builder, specialising in designing and building energy efficient homes. Contact Capital if you are interested in incorporating Passive House principles in your next New Home or Extension building project.